There are very few places to go Country dancing in Seattle anymore. Country Dancing in Seattle slowed down after its heyday during the 1990s but has been steadily on the rise again. In the late 1980s through the 1990s there were many Country bars and clubs in the area like the Riverside (Tukwila) , Little Red Hen (Seattle), Parker’s (North Seattle), McCabe’s (Tacoma), Club Broadway (Everett), Jerry Andel’s (Everett & Auburn) and the Rockin’ Horse Dance Barn (Renton). The Rockin’ Horse Dance Barn is by far the biggest one left. One thing that sets the Rockin’ Horse Dance Barn apart from the other places to go dancing is there is no alcohol. It is a place to just dance and have a good time. With 4,000 sq. ft. it is the largest hardwood dance floor for “any” kind of dancing in the Seattle area. 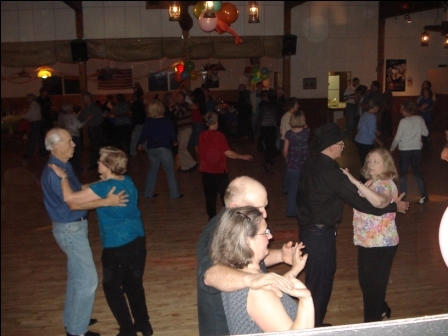 If you live in Seattle or are visiting Seattle this is a destination you really should put on your list of places to go for Country Dancing in Seattle. The best night for country dancing is Friday night. There are dance lessons every night and even during the day. The owner Dave Serfling has been teaching adults to dance since 1988. His relaxed fun attitude has helped thousands of people come to love dancing. His decades of experience teaching has helped everyone that wants to learn to dance “Learn to Dance” and have fun. If you are looking for a place to start your Country dancing in Seattle you should try the Rockin’ Horse Dance Barn for sure.